I almost feel bad for the skeletons running towards me. Almost. I call ice down from the sky, a massive hailstorm that freezes the entire group in place. With a flick of the wrist my hand lights on fire, a fireball conjuring in my palm. I throw it at the nearest skeleton and it literally explodes. Shatters into dust. The others break free of my ad-hoc ice prison, renewing their onslaught. One swings an enormous sword at me, but I get a magic barrier up just in time. The entire canyon erupts into flames from my shield, trees and grass burning to black. When the flames die down, no skeletons remain. 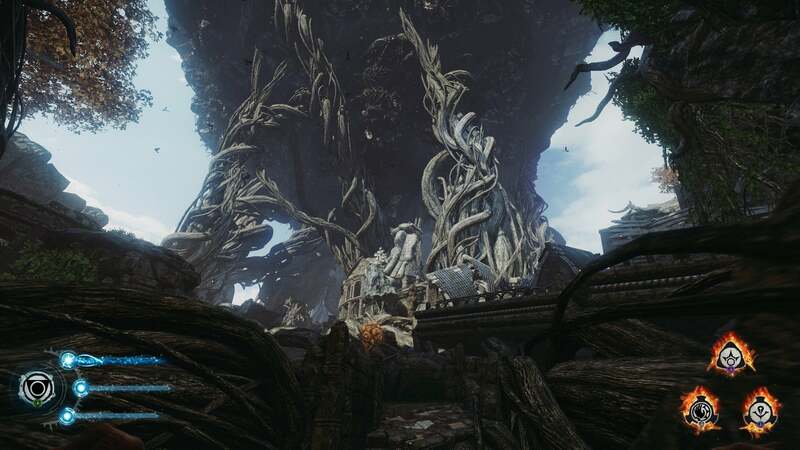 Lichdom is Xaviant's attempt to strip the artifice out of video game magic. Going all the way back to tabletop role-playing, games have had to concoct all sorts of constraints in order to make it so an archer or a swordsman or a rogue could viably compete against magic. We've dealt with mana bars. We've dealt with memorizing spells. We've dealt with cooldowns. Video game mages have been neutered in the name of "balance." Not in Lichdom. Through hordes both dead and living you'll unleash a torrent of magic in pursuit of revenge against some guy who killed your wife and slaughtered a whole bunch of innocent people for who even cares what reason. 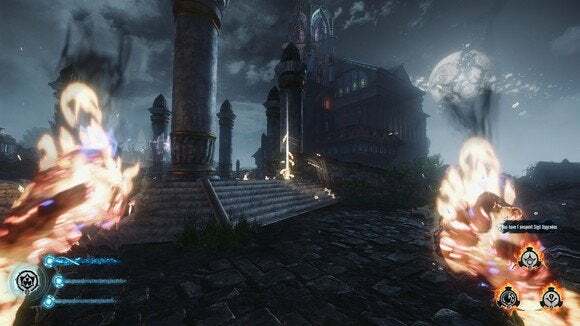 The story is the biggest letdown in Lichdom—it's terrible. It moves from one cliché to the next without even pausing, much of it conveyed through Princess Leia-style holograms and off-the-beaten-path book collections. You even fight fantasy-ninjas at one point, in a town that doesn't hide its Asian architectural influences very well. And to top it all, the voice acting half-heartedly tromps through dialogue that has all the nuance of a soap opera. This heard-it-a-million-times revenge story is the thinnest of pretexts to force you down a series of linear corridors. Quickly glancing at screenshots may give you the impression Lichdom is a wide-open RPG, thanks to our confirmation bias that every single fantasy-themed game is an RPG, but it's not. 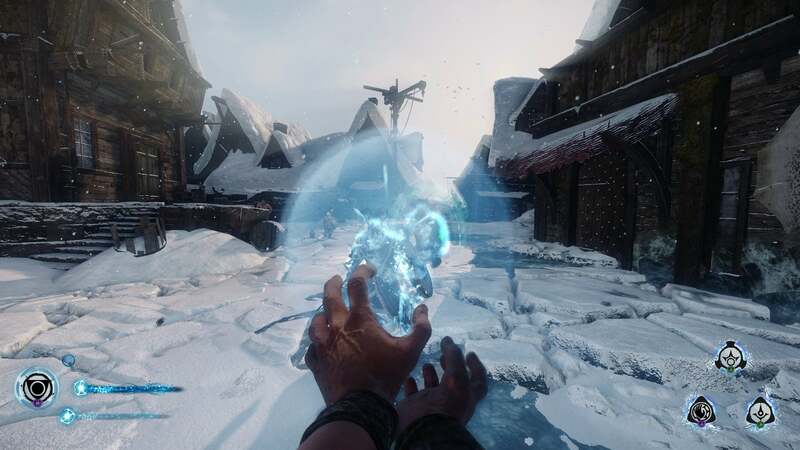 It's more like a first-person shooter with magic, replete with set-pieces arranged along a solitary path. It feels like a proof-of-concept for a much larger game that Xaviant isn't ready to make. The centerpiece of Lichdom is the magic system. You can equip three spells (sigils) at a time, with the game giving you a choice between two new spells at periodic intervals. Each of these spells then breaks down into three separate modes: a missile attack, a shield/defensive attack, and an area-of-effect attack. For instance, your first sigil is fire. You can shoot a fireball, block an enemy attack and (if timed correctly) release an explosion of flames from your position, or call fire down from the sky on an area. Same with ice, with lightning, with kinesis, et cetera. 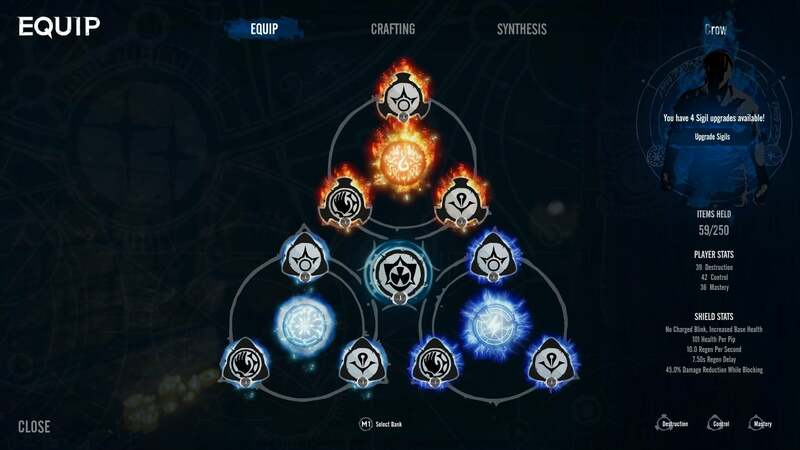 As if that weren't complex enough, there's an entire spell-crafting system based upon tiered loot. You collect spell components from enemies and objects in the world, then use those components to craft new spells. Crafted spells can align to one of three affinities—destruction is based on pure damage, control is focused on restricting enemy movement, and mastery is a damage multiplier/debuff. There's a lot of depth here. A lot of depth that's never explained to you. Not even the basics. Everything in that last paragraph is what I cobbled together from playing the game, and some of it I'm not even sure is right still. It took me four hours to figure out what "Mastery" did—by reading a forum post. It fits the "You're learning magic as you go" story, but it's frustrating when you're spending a ton of time in the crafting menu trying to eke one or two more points of damage from a spell and confused whether what you're doing is even making a difference. Frustration mounts when you hit some outrageous difficulty spikes. The first boss in particular took me over an hour to defeat. Up until that point I'd only died once, fighting mobs of skeletons and other undead. Suddenly you're confronted with a hulking creature that can kill you in two, maybe three, hits. What's worse, every time you die you have to replay the same twenty second scene before jumping back in the fight. Then you beat it and it's back to the same old run-headfirst-into-your-fireball skeleton mobs, as if the difficulty spike never even occurred. It's weird and poorly balanced and I can see plenty of people reaching that boss fight and never turning the game on again. And while that's the most egregious difficulty spike, it's far from unique. As I said, it feels like this magic system deserves a more expansive game. 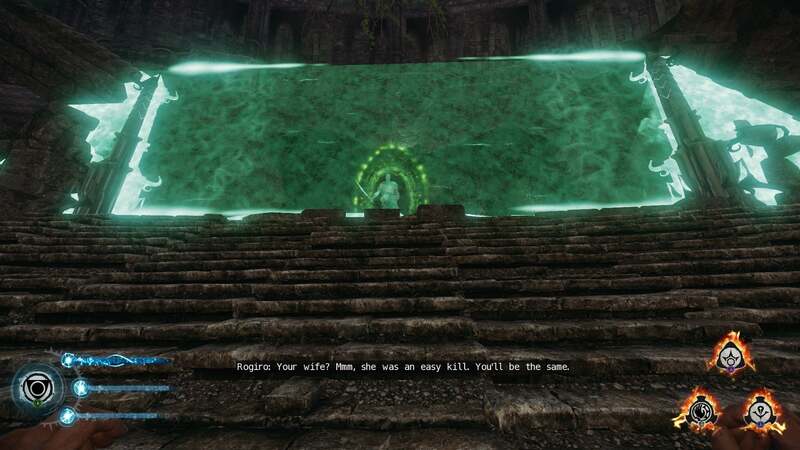 Lichdom is great because it shows what magic could be like in other games. CryEngine 3 does a fantastic job rendering particle effects, and unfettered spell-casting is given the respect it deserves. But Lichdom is clearly a game built around a system instead of the other way around. This one aspect of Lichdom is phenomenal, but the other myriad components are passable at best. I don't think Xaviant went quite as far as they could've—it's easy to find one spell tactic that works and stick with it, and kiting the dumb AI is still the easiest and most effective way to stay alive—but the bigger failings lie in story, in level design, and in basic tutorializing. Many times I found myself slightly bored by another corridor, another arena, another mob of enemies, another forced story bit. Boredom in a game where I can call fire down from the sky? That shouldn't be possible. Lichdom is the first game to really get magic right. Unfortunately it does so at the cost of most everything else.